Dr. Jaung-Geng Lin, an international renowned expert in acupuncture and the chair professor of China Medical University (CMU), was invited by the global publisher “Springer Nature” as the chief editor for the book “Experimental Acupuncturology”. This is the English version of the tool book for acupuncture, featuring the experiences and wisdom from 14 scholars and experts. It took five years of verification before the book is completed and now it will be published worldwide for acupuncture education. 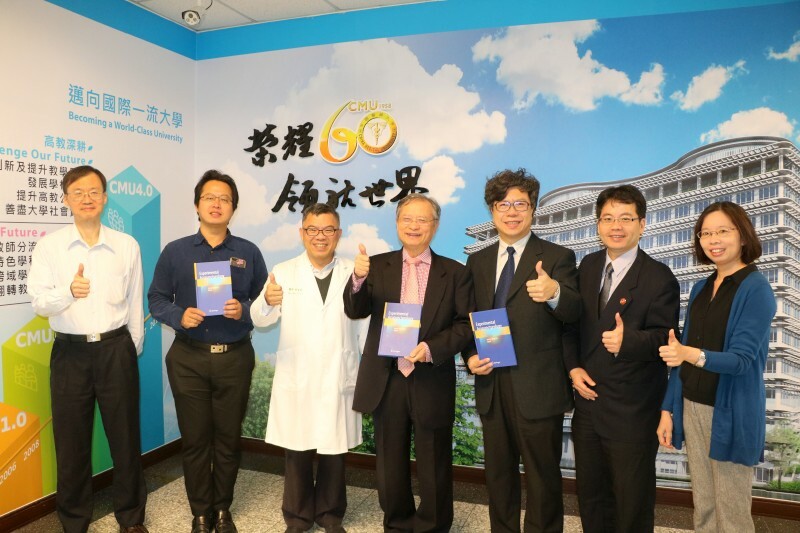 The publication of “Experimental Acupuncturology” will surely enhance Taiwan’s international reputation in acupuncture. The clinical efficacy of acupuncture has been recognized by World Health Organization (WHO) and acupuncture is the field of the most successful internationalization in Chinese medicine. CMU is the first university in Taiwan that established acupuncture education and related clinical research. With the well-developed acupuncture research team, CMU becomes an important academic leadership position in the globalization of acupuncture. Dr. Jaung-Geng Lin has great clinical experiences in acupuncture and his academic achievement has been recognized by the international community. Dr. Lin also has made great contribution to the Chinese and Western medical communities. During his clinical, teaching, and research career for over 40 years, he has received numerous awards. The global renowned Springer Nature publishing group invites Dr. Lin as the chief editor of “Experimental Acupuncturology”, hoping to do a systematically review and organization about the mechanisms of acupuncture in disease treatments. This book will also become a worldwide acupuncture textbook for medical students and reference materials for doctors. The English version of “Experimental Acupuncturology” took about five years to complete. It is the only English reference book for experimental acupuncture. This book not only serves as a teaching reference, but its publication also contribute to the development of modernization in acupuncture research. At the same time, Taiwan’s international reputation in acupuncture research is enhanced and made to be seen worldwide”, said Dr. Jaung-Geng Lin. The Edit Team of '"Experimental Acupuncturology"